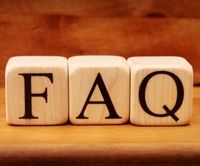 We have compiled a handy list of the most commonly asked questions to assist you. Is Your E-Commerce Website Secure And Is My Personal Data Safe? Our store is hosted on Yahoo Small Business. They provide us with the secure online e-commerce platform that allows us to sell our Baltic Amber Jewelry to you. Your data is stored through Yahoo Small Business data storage, databases and the general Yahoo Small Business application. They store your data on a secure server behind a firewall. We will never use your email address for our own or anyone else's marketing purpose, unless you request us to. We know how annoying it can be to have your mailbox full of unsolicited emails. Also, when you're checking out  you can feel doubly secure if you see an s after the http in the website address. All browsers display this to let you know that you're in a secure environment thanks to our use of Secure Socket Layer (SSL) technology. Does Amber Artisans Share The Information It Gathers With Others? We don't provide any third party with any individually identifiable information other than that which is necessary to complete your order. Specifically, we give your name, shipping address to our shipping carrier, such as Postal Services. We maintain strict guidelines requiring all third parties to keep any shared personal information confidential. What If I Don't Have a PayPal Account?! Don't worry as you do not need to own a PayPal account to pay: you may enter your credit card's data directly at PayPal and complete your payment. You don't need to register a PayPal account neither. All prices displayed on this site are in United States Dollars (US$). No, you do not need to set up an account to place an order. All Shipping occurs on business days only unless otherwise specified. Please note that a processing period of up to 24 hours may be applied. All orders placed after 3:00 pm will be processed the next business day. We post all orders usually within one business day of placing order. We do not ship on weekends and holidays. If you place an order on Friday afternoon, item will be shipped on Monday. Please make sure item is sent to a location where someone will be available to collect mail and sign for it during business hours. All our parcels requires signature. If no one will be available at you premises notification with details how to collect mail will be left. Can We Direct Ship To A Friend Or A Family Member? Sure! We can ship anywhere in the world for a flat cost. Just leave a message and the right delivery address at checkout and this will be applied. Invoices can be discrete and we can even leave a gift message. As soon as your order leaves our workshop, our system automatically sends you a shipping confirmation email with your Tracking Number. We ship worldwide by International Registered Airmail. We are happy to send your order to virtually any country in the world. Delivery time is approximately 7-20 business days depending on destination country. In most cases delivery take approximately 8-16 days, however we reserve up to 24 business days for delivery. Your Amber Jewelry should be unworn, in the same condition that you received it and securely placed in its original packaging. The cost of returning goods shall be paid by you. Please see our Returns Policy for full details. Is Your Amber Jewelry Made Of Authentic Baltic Amber? Yes. Our Amber Products are handmade of 100% Authentic Baltic Amber. Our master craftsmen employ centuries old techniques to perfect each Amber bead. Why Does My Amber Jewelry Look Different Than The Picture On The Website? Baltic Amber we use in our jewelry are natural and come from the Earth. As the Earth evolves and changes, so does Baltic Amber. Due to this, the size, color and pattern (striations, mixing of colors, etc.) of the beads will vary from piece to piece. How Do I Take Care Of My Baltic Amber Jewellery? Baltic Amber is a delicate and gentle stone, so we recommend that you follow these simple rules to keep your Amber Jewelry in perfect condition. *Store your Amber Jewelry in a soft cloth to protect its outer shell from contact with other objects. *Never wash, bathe or shower whilst wearing your Amber Jewelry. Overtime, water and moisture can break down the stringing materials used to create your piece and cause it to break. *Always apply your perfume and hairspray before wearing the Amber Jewellery. *Never leave your Amber under direct sunlight. *Ultrasonic or steam cleaners are not suitable for cleaning Amber Jewellery. *Always clean your Amber Jewellery with a mild solution of soapy and slightly warm water (never hot) and use a flannel cloth to gently wipe dirt and smudges from Amber settings. *Polish and make it shiny with olive oil and a soft cloth. Continue polishing until all excess oil is removed and the shine is restored. Learn more How to care for Amber Jewelry . It is Amber Artisans chief priority to provide all of our shoppers with a pleasurable shopping experience. Should you have any queries, please do not hesitate to contact our friendly Customer Service.